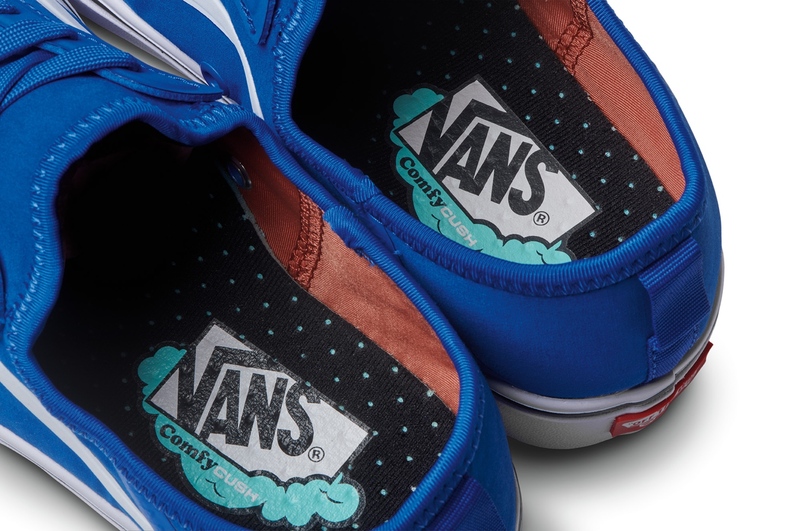 Costa Mesa, CALIF. (March 4, 2019) – On the heels of launching the brand’s latest footwear innovation, ComfyCush, this past week, Vans highlights the new ComfyCush Zushi SF in their surf collection, a low-profile practical style that meets the technical demands of the most creative surfers, while providing a timeless and versatile silhouette built on comfort. Revered for fusing innovative technology with classic design, Vans crafts the ComfyCush Zushi SF style by blending heritage facets with Vans ComfyCush. 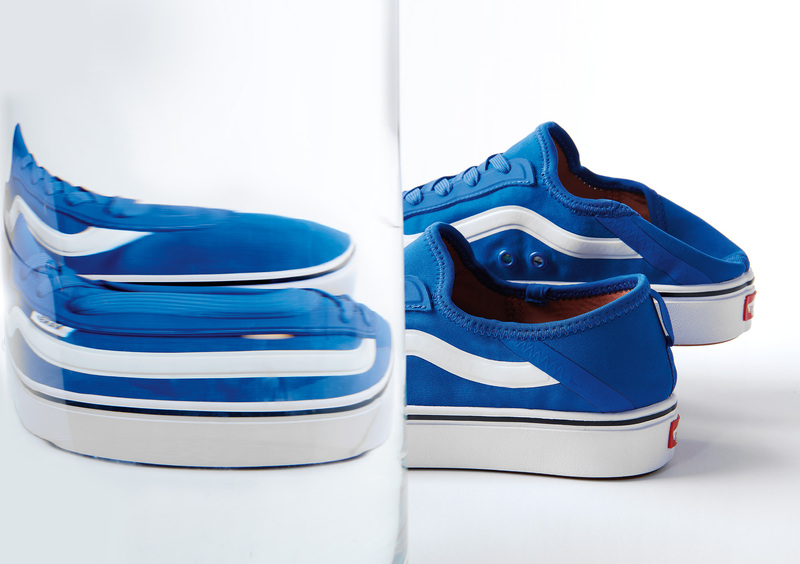 The New Vans new ComfyCush Zushi SF in a brilliant lapis blue. Bold and bright in a lapis blue and true white for oceanic tones, the ComfyCush Zushi SF boasts an upgraded one-piece deconstructed upper, combining more stretch, a truly lightweight outsole, and added arch support for first-class comfort. Revered for fusing innovative technology with classic design. Vans’ ComfyCush technology offers sublime coziness, maintaining Vans’ commitment to long-lasting wear and reliable traction with the signature waffle rubber outsole construction. For the ComfyCush Zushi SF, Vans integrates a collapsible heel for easy on/off wear, medial vent holes for optimal airflow and a heritage sidewall that stealthily hides the lightweight co-molded ComfyCush outsole, a fit that feels like you’re walking on a cloud! The ComfyCush Zushi SF raises the bar, where vital comfort meets practicality. To learn more about the Vans surf collection and to find an authorized dealer near you, visit Vans.com/Surf. 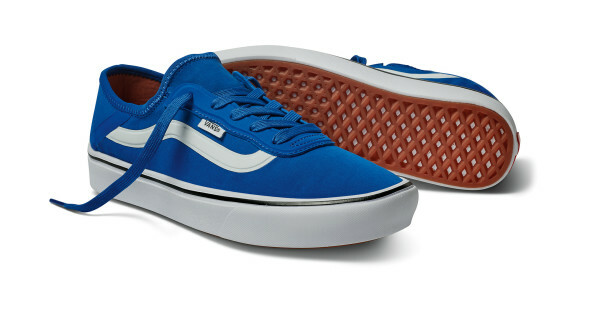 Vans®, a VF Corporation (NYSE: VFC) brand, is the original action sports footwear, apparel and accessories brand. Vans®authentic collections are sold in 84 countries through a network of subsidiaries, distributors and international offices. Vans® has over 2,000 retail locations globally including owned, concession and partnership doors. The Vans® brand promotes creative self-expression in youth culture across action sports, art, music and street culture and delivers progressive platforms such as the Vans Park Series, Vans Triple Crown of Surfing®, Vans Pool Party, Vans Custom Culture, and Vans’ cultural hub and international music venue, House of Vans.